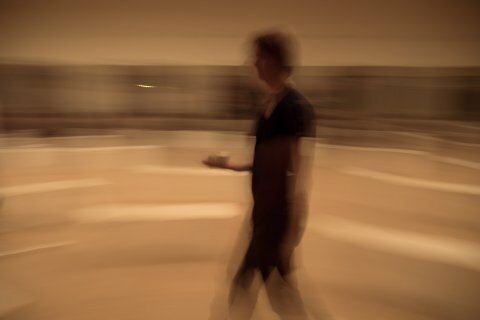 With “distant voices”, Heine Avdal and Yukiko Shinozaki continue their exploration of space, particularly investigating the effects of spatial organization on the body and its perception. What happens if an architectural space exceeds its own borders from within? What if a situation breaks out of its spatial limits? What if it dissolves its specific contextual set ups and codes by spreading to other frameworks? And how does this affect the physical, perceptive and behavioral relations between audience members and performers? “Distant voices” pursues these questions by playing with the idea of materializing space. The project features a structure of moveable objects, whose presence augments the situation with a multiplicity of blind spots. 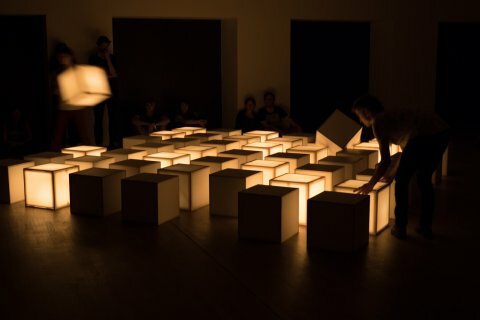 As a modular, transformable sculpture, it oscillates between an installation, a stage design and an architectural element, continually shaping and reshaping the spaces in which it is presented, simultaneously segmenting them into both accessible and inaccessible areas, both visible and invisible zones. The imagination is invited to travel: from the macro- to the micro-level and vice versa, between memory, actual perception and anticipation, and through alternative versions of the situation’s here and now – a journey on which common notions of human intersubjectivity and the desire for interpersonal relationality may be challenged by encounters with a certain kind of ‘objecthood’. Heine Avdal (NO/BE) studied dance, choreography and video at the Oslo National College of the Arts in Norway and at P.A.R.T.S. in Brussels. He has worked as a performer for various companies in Norway. From 1997 to 2001 he worked with Meg Stuart’s company Damaged Goods, collaborating with Gary Hill, Ann Hamilton and Stefan Pucher. Since 2000 he has been frequently collaborating with Yukiko Shinozaki. In recent projects, his focus has been on the distribution of space. He questions how spatial conventions affect the way we experience and move through private/public spaces. 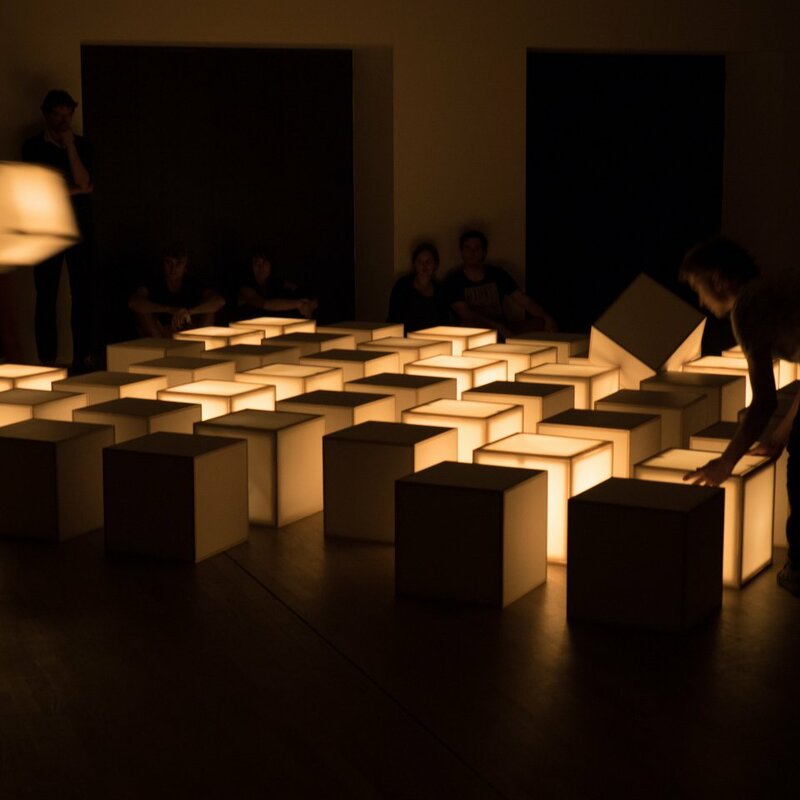 Considering people’s preconceptions of spatial conventions and through slight shifts, or manipulations he searches for unexpected intersections between different components of a space. In this context, Avdal also questions how technology is being used or, can be used in acquiring new meanings and perceptions on the human body and on our daily surroundings. He investigates the blurred distinction between what is artificial and what is organic, by integrating different technologies in such a way that they become charged with presences, acquiring some kind of human quality. Yukiko Shinozaki’s (JP/BE) work focuses on internal complexities and contradictions of the body. 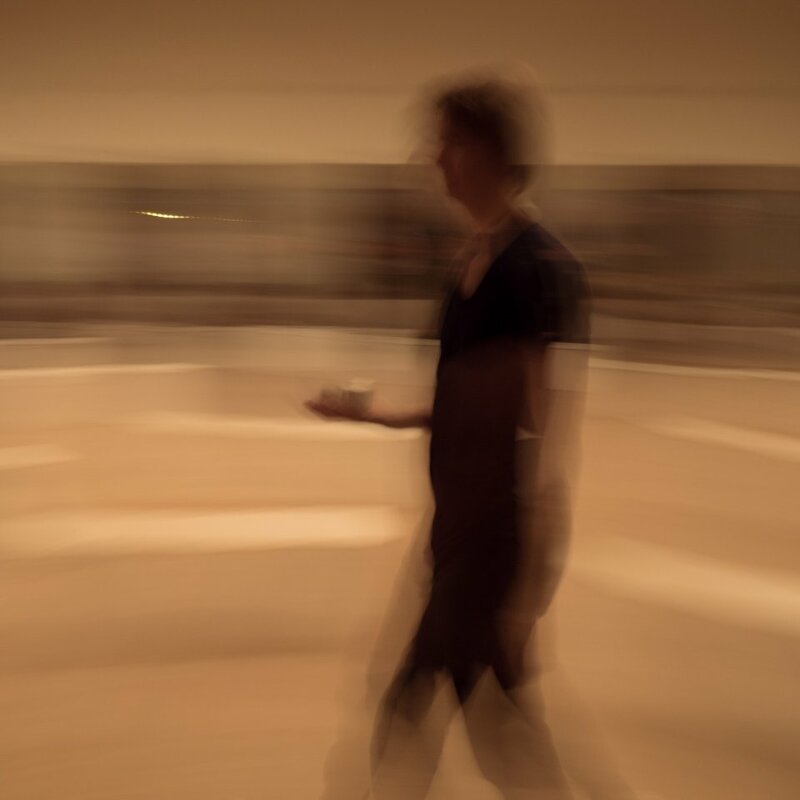 The process of transformation takes an important role in her movement vocabulary: through subtle shifts and manipulations, familiar actions slowly transform into an unfamiliar realm/landscape. She considers artistic collaborations as an important factor in her work and she consciously integrates coincidental elements that arrive in encounters with different artists and situations. She mainly works in an intuitive way, yet she is also fascinated by something beyond her imagination. After studying classical ballet in Tokyo, Shinozaki moved to the U.S. She has studied contemporary dance and psychology at the Portland State University. After graduating, she lived in New York working as a freelance dancer as well as showing her solo works at various venues. In 1997 she moved to Brussels, where she worked with Meg Stuart/Damaged Goods until 2001. Since 2000 Yukiko Shinozaki and Heine Avdal have in collaboration produced and created more than 15 different projects. Currently they are touring internationally with Field Works-hotel, Field Works-office, Borrowed Landscape, nothing’s for something, distant voices and as if nothing has been spinning around for something to remember. Concept & Direction: Heine Avdal, Yukiko Shinozaki. Visual artist: Arnaud Meuleman. Dramaturge: André Eiermann. Created & performed by: Andrey Andrianov, Heine Avdal, André Eiermann, Ingrid Haakstad, Arnaud Meuleman, Kayoko Minami, Eivind Seljeseth, Yukiko Shinozaki. Additional performers: Hakon Vadstein, Yumi Osanai. Sound design: Roeland Luyten. Sound technique: Mathieu Virot, Johann Loiseau. Technical support: Protocol Room. Production: fieldworks vzw, Heine Avdal. Co-production: STUK (Leuven), APAP Network: BIT-Teatergarasjen (Bergen), Kunstencentrum Buda (Kortrijk) and Pact Zollverein (Essen), Kana Theatrical Centre (Szczecin), CO2 festival (Beirut). In collaboration with: Kaaitheater (Brussels). With the support of: Norsk Kulturråd, Vlaamse Gemeenschap, Vlaamse Gemeenschapscommissie.